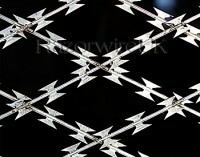 High strength Barbed Wire for a wide range of uses. 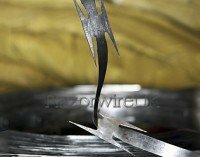 Razorwireuk stocks 2ply 4barb Galvanised Barbed Wire in 200 meter rolls. The heavier 2.15mm 2 ply core wire offers a higher than normal level of tensile strength in comparison to lower Gauge strands. 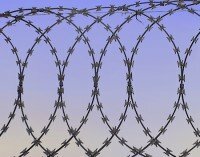 In some applications Barbed Wire can also be used in conjunction with Razorwire as a support wire. 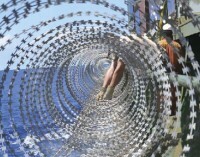 Although this makes the fitting slightly more awkward it adds to the deterrent of the Razorwire. Don’t Forget your Protective Equipment?